Business View Magazine interviews Mike Weaver, Mayor of Radcliff, Kentucky, as part of our focus on economic development in American cities. The Scots have their Scotch, the French and Italians, their wine, the Russians, their Vodka, the Greeks have Ouzo, and we Americans have Bourbon. So important is this corn-based, alcohol product to our nation’s cultural past that Congress actually recognized Bourbon’s distinctive place in our history by declaring it “America’s Official Native Spirit” in 1964. And 95 percent of the world’s Bourbon is distilled, aged, and bottled in Kentucky. It began in the 1700s with the Bluegrass State’s first settlers. Like most farmers and frontiersmen, they found that getting their crops to market over narrow trails and steep mountains was a daunting task, and they soon learned that converting corn and other grains to whiskey made them easily transportable, prevented the excess grain from simply rotting, and, as an added benefit, gave them some welcome diversion from the rough life of the frontier. Farmers shipped their whiskey in oak barrels, down the Ohio and Mississippi Rivers to New Orleans. The long trip aged the whiskey, with the oak wood giving it a distinct mellow flavor and amber color. Since then, generations of Kentuckians have continued the heritage and time-honored tradition of making fine Bourbon, unchanged from the process used by their ancestors, centuries before. Today, not only is the production of Bourbon an $8.5 billion industry in Kentucky, generating as many as 17,500 jobs and $825 million in tax revenue, annually, it has also become a major tourist attraction. In fact, last year, over one million people from all 50 states and 25 countries have visited some of the state’s premier distilleries on the world-famous Kentucky Bourbon Trail, first launched in 1999, by the Kentucky Distillers Association. While the vast majority of Kentucky Bourbon comes from the eponymous Bourbon County, a so-called “wet” county, east of Lexington, recent changes in the state’s patchwork of alcohol laws have allowed some other localities the opportunity to climb on the Bourbon bandwagon. In 2011, the city of Radcliff, in Hardin County, some 34 miles south of Louisville, along with two nearby cities, Elizabethtown and Vine Grove, voted to approve the sale of alcohol, after being “dry” for nearly a century, when national prohibition laws were first promulgated. Incorporated in 1956, Radcliff was originally settled in 1919, when Horace McCullum subdivided lots along Wilson Avenue and sold them at auction to the highest bidder. McCullum named the new community after Major William Radcliffe, head of the Quartermaster Corps at the newly established Camp Henry Knox. 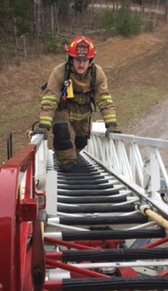 The next significant step in Radcliff’s history took place during the 1930s, when Fort Knox expanded and dislocated the towns of Stithton and New Stithton, causing various residents and businesses of those communities to move to Radcliff. During World War II, thousands of soldiers trained at Fort Knox and spent their leisure hours at the USO in Radcliff, and today, the city’s economy is still largely dominated by the Fort Knox Army Post. 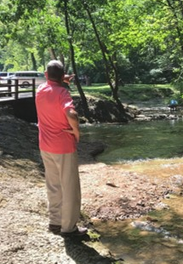 But since Radcliff has become a wet city, Mayor Mike Weaver has embarked upon a new plan which he believes will help grow the city’s stature as well as its economy. “Every city will not be able to attract the industry that every city would like,” he explains. “But, I believe that every city has a niche and they just need to go for it. When it comes to economic development and attracting a big industry, we don’t have some of the key components that you have to have, which is flat land, a railroad, an interstate, and water. So, we’re not going to attract anything like that.” What Radcliff does have, however, once again, is Bourbon. 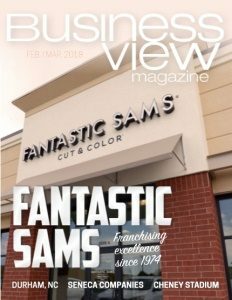 “I had an opportunity about two years ago to attract a craft, bourbon distillery to our city. I had a vacant building that I leased to them, and I did that because I think bourbon has gone worldwide,” Weaver continues. “In fact, when I was in Turkey, about six years ago, I was invited to attend a session of their parliament, because I had been a state legislator, myself, and when that session was over, one of the members of parliament came up to me and proudly reached in his wallet and showed me his ‘bourbon passport,’ and told me about all the distilleries he had visited and where he would like to visit in the future.” This chance meeting helped convince Weaver that there was a tourist market out there, ready and willing to make the trek to the home of American-made Bourbon, which, of course, is Kentucky, USA. “This little distillery that we have is called Boundary Oak. It’s going to have the brown signs that advertise the Bourbon Trail on the main interstate, which is I-65, and this little place is nine miles away from that. We probably got 35,000 visitors, this year. When we get the brown signs up and start getting all of these tourists in, next year, we’ll probably get 100 or 150 thousand. But it will definitely bring people here. And they’ll want to come to a small distillery like this because you can actually talk to the master distiller, you can see the mash as it’s being made, you can smell it, you can look at it, you can see the whole distilling process, and just get a real close-up look at it. So, we think that’s going to be very attractive. “Once they get here, we’ll show them what else there is to see. Here, in Radcliff, we have a place called Saunders Springs, where there used to be a 1830s gristmill. You go down a winding road and come to this beautiful cave spring that comes out of the side of the hill and the water flows there 365 days a year. This kind of limestone water is perfect for making bourbon. During prohibition, moonshiners dotted that whole hill. Well, Boundary Oak distillery takes its water from the spring on that escarpment and will continue to do so. Weaver explains that the distillery and the spring will be the first part of a tourist loop that will take visitors to many other area attractions. “We have the largest veterans’ cemetery in Kentucky because we’re right next to Fort Knox,” he says. “Cemeteries are attractions, just like Arlington and Antietam, and people come to visit them. And as you continue the loop, we have a 911 Memorial from a piece of steel that came from the Twin Towers; we have a Gold Star Mothers’ Memorial; we have a POW/MIA Memorial. So, from Boundary Oak Distillery, you go to Saunders Springs, you go to the cemetery, from the cemetery, you go to an overpass that overlooks the Fort Knox gold vault. So, you stop and take a look at that. Then, from there you go to the Patton Museum, which by April or May of 2018, they will have finished over a million dollars worth of construction on it to have a display of all of General Patton’s paraphernalia that we have; and they created an ROTC Hall of Fame in the same building. In the last five years, we moved the last remaining wooden World War II barracks to that campus. 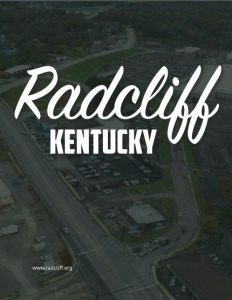 So, next time you’re in Kentucky, make your way to the city of Radcliff in Hardin County. Take in all the sights and be sure not to miss the Boundary Oak Distillery. There’s a tumbler of fine Kentucky Bourbon there, with your name on it. And, while you’re enjoying it, you might want to raise a toast to Mayor Mike.